Dishonoring a symbol of unity does nothing to advance the cause. Editor’s Note: Debate continues to swirl around protests by some NFL players during the playing of the national anthem as a way to draw attention to racial injustice. We asked two writers to provide different perspectives about the issue. One interviewed two NFL players who are Stanford alumni. The other is an undergraduate who opposes the protests. The debate over national anthem kneeling, like most of recent American politics, is reminiscent of the fallout from a college breakup. Each ex-lover says to their mutual friends, “you’re either with me, or you’re against me.” Republicans rightly castigate disrespect to “The Star-Spangled Banner” but too often imply that racial bias never permeates policing. Democrats are quick to highlight cases of discrimination but legitimize extremist claims about police. Worse, while both parties preach to their bases, they turn away would-be allies in the middle, entrenching the stalemate. Some disagreement on related issues, such as the degree to which athletes should be entitled to voice their political opinions at work, is expected. Yet the deadlock over the anthem protests is surprising, given each party’s traditional principles. Liberals should be proud supporters of servicemen and women who sacrifice life and limb for the collective good; they should not condone kneeling during the national anthem. Conservatives should be natural defenders of shielding individual rights from government interference; they should reject abuses of police power. This fight is more than another example of the major parties moving away from their historic ideals; the battle is one more example of Americans ignoring their better angels. The two sides do not engage in civil dialogue because their political ideologies have been construed as contradictory: Football players chose a unifying symbol, the anthem, as their stage to protest, and President Donald Trump—albeit in a show of political expediency—divisively waded into the conflict. Voices that actively condemn racial violence where it manifests but also engage in nuanced conversation about the intersection of culture, law, race and police training are now depressingly rare in a country riven along partisan lines. Large swaths of the country will simply never support a protest premised on opposition to the national anthem. 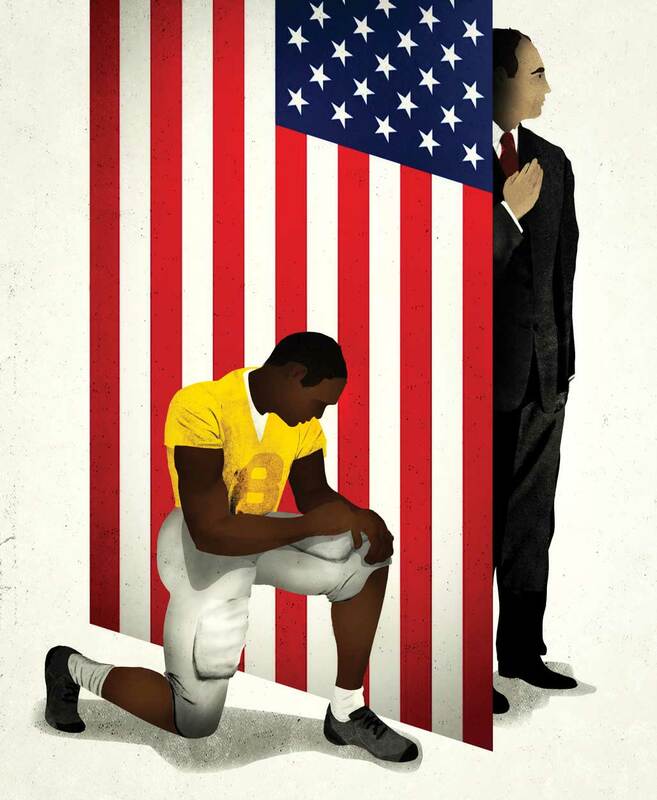 A Washington Post-Kaiser Family Foundation poll found in April that 53 percent of Americans say it is “never appropriate” to kneel during the anthem. This is the reality that kneeling athletes and their Democratic defenders have to contend with. If they want to find broad-based support, protesting the anthem will not advance their cause. Nor should football players or liberals be surprised with this negative response. “The Star-Spangled Banner” was an anthem for Union troops and a symbol of national unity during the Civil War. A year into the War to Preserve the Union, the song was performed at a baseball game for the first time. While the practice was infrequent due to the cost of hiring a band, a particularly spirited rendition during the first game of the 1918 World Series, against the backdrop of World War I, cemented the tune in the American psyche. With the addition of sound systems to ballparks in the 1940s, standing for the anthem became a national ritual. Kneelers might claim the Union has not lived up to “the spirit of liberty.” In instances, we do come up short. But by choosing to kneel, players appear to critique the entire American experiment and give credence to wrongheaded rhetoric, like “cops are pigs.” Racist cops should be shown no tolerance and guilty officers should not walk free, but law enforcement involves constitutional, proactive policing. If police are unambiguously viewed with suspicion, keeping communities safe becomes more difficult. The footage of Walter Scott’s, Philando Castile’s and Laquan McDonald’s slaughter evokes rage and sadness, and horrifies the conscience. But kneeling seems to accomplish little for those young men, for countless other victims of brutality or for future generations. Compromise on something so infuriating is difficult, yet athletes would achieve more than they do kneeling by targeting specific policy goals. Hit campaign trails. Write editorials. Lobby congressmen. Kneeling might fill social media feeds, but whipping votes fosters tangible progress. Fight for augmented police training, so officers will be more equipped to be disciplined with their use of deadly weapons. Or, make it a legislative priority to reform the doctrine of qualified immunity, so that Americans do not have to rely on the Department of Justice or special prosecutors to deter and remedy police malpractice but can successfully file civil suits when government officials violate their constitutional rights. Athletes, politicians and other citizens should remember that attenuating racial violence need not, indeed should not, be a partisan issue. Together, let’s stand for our anthem and have this hard discussion. From Palm Drive to the White House to Levi’s Stadium, let’s recommit to respect, tact and the aspirations of a more perfect Union. 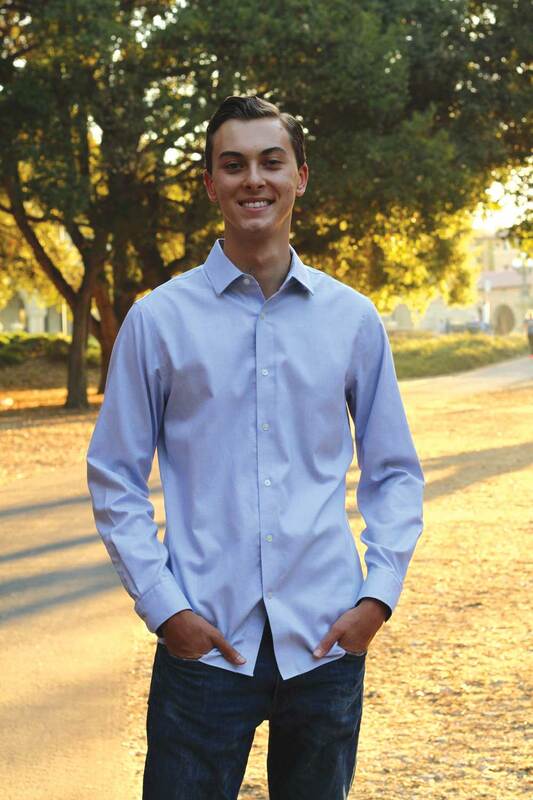 Andrew Friedman, a junior studying economics and history, is an editor at the Stanford Review.